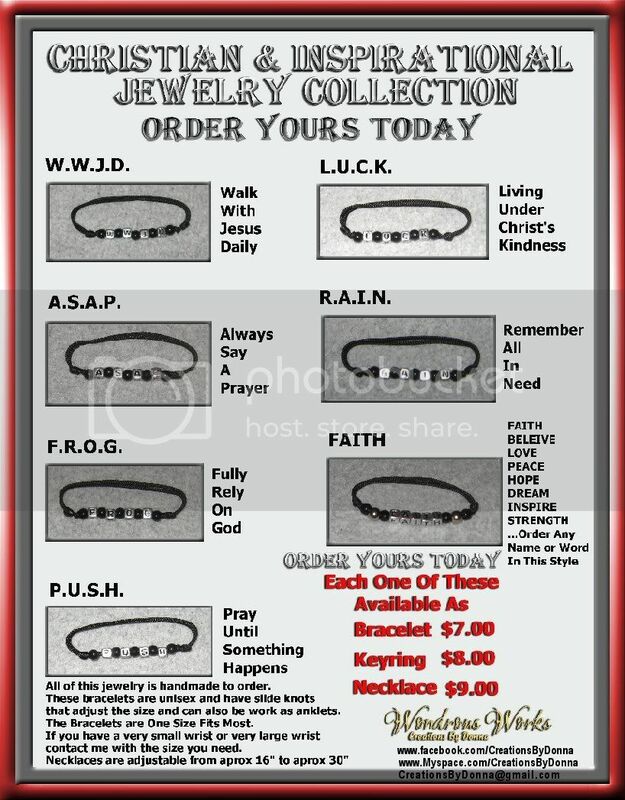 Each piece of jewelry is custom made to your order. Order By EMail or Using Contact Page By Sending The Info Below. If you would like to pay with PayPal I will send you a money request including the shipping fees when you e-mail your order. First: Pick your piece of jewelry. Second: Pick the number of the item you would like. Your Favorite Sports Team Name Or School - Include the Team or School colors (2)when you place your order.